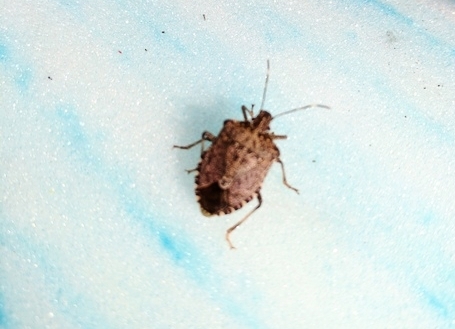 Stink Bugs & Boxelder Bugs old — Wingman Pest Control, Inc. Both of these bugs are drawn to our homes to either bask on the warm siding or over-winter in the attic / wall voids. 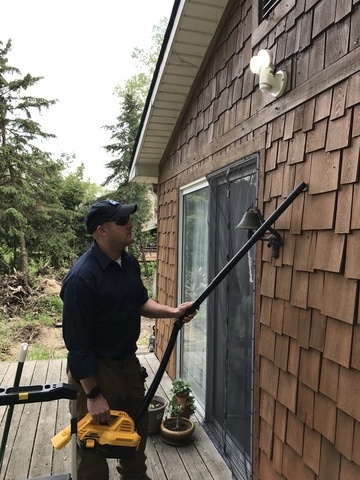 In order to control them properly Wingman Pest Control uses a three-step approach. Sometimes a thorough vacuuming gives instant results on the bug pressure. The first visit involves getting the bugs under control. We use electronically calibrated equipment to apply non-repellent control materials exactly where the bugs are living. We will also vacuum up any reachable bugs while onsite. After the bugs have been successfully controlled we apply repellant material. The second visit involves applying repellent materials in the cracks and crevices where the bugs are living. We will also continue to use the vacuum if any bugs are seen onsite. We can seal out most gaps where they bugs like to nest behind. During the second visit we also offer a sealing work service. This helps prevent a re-infestation in that particular area.